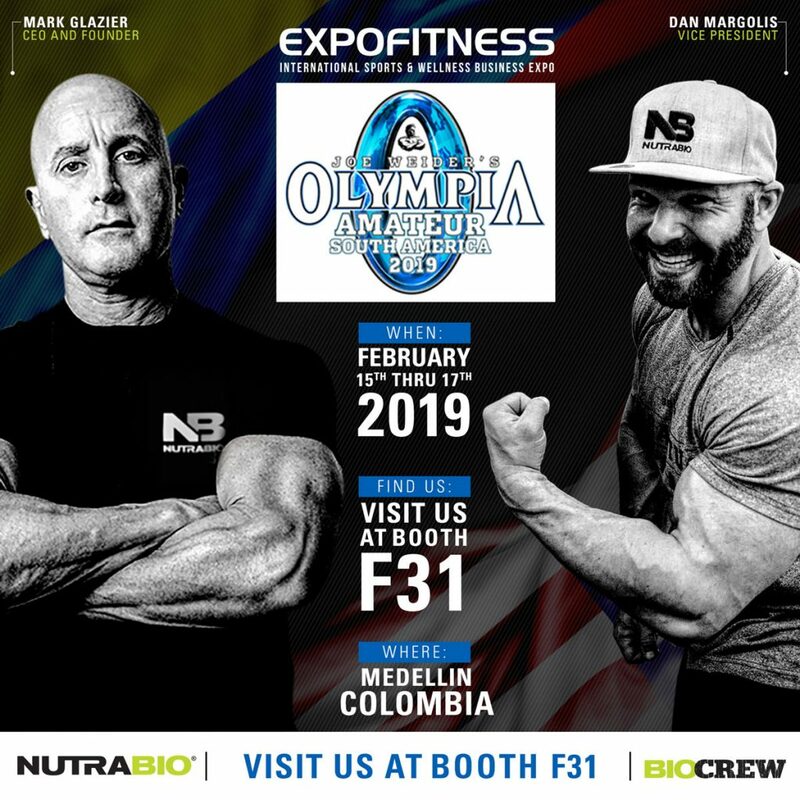 Mark Glazier NutraBio CEO & Founder and Dan Margolis NutraBio VP head to South America to ExpoFitness!! This weekend Mark Glazier our CEO & Founder and Dan Margolis our VP head to Medellin Colombia for ExpoFitness and the Amateur Olympia. ExpoFitness is the largest trade show in Colombia . We will be meeting with new wholesalers and consumers alike at booth F31. Come take a picture and talk science with the man who coined the phrase “No Prop Blend” and try our hot New Breakfast Series as well as Dragon Fruit Candy Line! We look forward to meeting and greeting all the South American fans and expanding our network into another continent.